Amplify Ultimate and the sport’s unique values by showcasing high-level competition and entertaining sports fans in the Atlanta region. Emotionally engage thousands of Ultimate fans. The AUDL format is designed for fans. It is the best tool to introduce new people to field disc sports, through economical live experiences and compelling digital content. As a highly visible ambassador of our sport, the Hustle takes seriously its responsibility to be a shining example of our sport and city. We aim to display passionate, committed, intelligent and skillful play with integrity to youth players and to be a reflection of the Atlanta ultimate community that they proudly support. The Hustle utilizes it's resources to make the sport more accessible to players of a wider spectrum of backgrounds. As we introduce the sport to new people we work to lower their barriers to entry. We strive to be inclusive and respectful of any person who is excited about disc sports. We work hard to positively influence Atlanta's community with clinics, camps, and scholarships that offer the best coaching to all of Atlanta's youth players. Miranda Knowles has been on the Hustle staff since it's inception in 2015. She was a world renowned player and is building just as impressive of a coaching career with experience coaching at every level in our sport. She was elevated to director of coaching before the 2018 season, when she also assumed the head coach role. 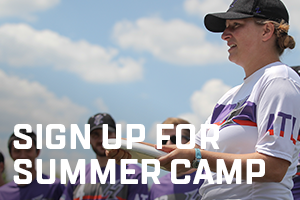 Coach Knowles has a leadership role in the front office as well as authority over team personnel, strategy, and player development giving her unprecedented influence in the Atlanta ultimate community. We strive to out smart & out work our opponents by being a better team. Atlanta embraces their name: The Hustle. An army of smart, hard working, versatile players with great chemistry makes the Hustle an easy-to-root-for underdog in the South division. Continually overlooked, Atlanta's drive is fueled by the chip on their shoulder. No player better exemplifies the Hustle's culture than electric cutter Matt Smith, a top 3 scorer in AUDL history. In her first season (2018) as head coach Miranda Knowles successfully installed a fast paced possession-based offense that leveraged her team's strengths and wore down defenses. Defensively Coach Knowles serves up a signature zone defense they call "Grits" that gunks up the South's high scoring offenses and renders every Hustle game a nail biter. Six of their games in 2018 were decided by just one point. Battle tested and hungry the Hustle look to build on last season's success to break into the 2019 playoffs. Matt is one of the most prolific receivers to ever play in the AUDL. He is one of the best natural scorers in the history of the league. He has been named to the All-AUDL team several times and is a staple in the league's top 5 for plus-minus, a measure of a player's offensive and defensive production. With his combination of quickness, explosive jumping, cut timing, and feel for the game he is a nightmare to match up against. Smith has evolved to become an unguardable multidimensional player with exceptional skills in small tight spaces. Smith is also a critical leader of the Atlanta men's ultimate community and is heavily engaged in developing youth talent in the city. He is an exceptional ambassador for the sport. Matt was born in Hawaii, went to school at Colby College in Maine, and lived in Birmingham before relocating to Atlanta. Williams is the Hustle's top defender, protecting the goal in the back of our zone looks. He has exceptional top speed and length allowing him to track down long passes and make big plays in the air. Kelvin is one of our top goal scoring defenders. His endurancce and speed allows him to attack defenses earning the Atlanta defense crucial game changing break goals. Kelvin has developed into a leader on and off the field. He commutes in from Birmingham, Alabama where he works in accounting. Bush is one of Atlanta's best deep threats. He uses his size, speed, physicality, and powerful throws to get open and stretch defenses. Josh has a PHD in Athletic Training and was a D3 national champion at Georgia College. Olsen is a versatile hybrid player who is a playmaker both on offense and defense. He known for his smooth and fluid style of play. He impacts the game from the backfield, downfield, and covering the opponent's top talents. Christian is one of Atlanta's leaders. He is charismatic, intelligent and a great ambassador for the sport. He is a Paideia and Emory alum who works as a business consultant. Knowles is renowned for his exceptional marking skills. He can neutralize the best throwers in the game with his long reach, defensive instincts, and intelligence. Offensively, Knowles is a calming force who takes control in the backfield to guide the disc into the goal for critical break scores. A skillful thrower, he has an arsenal of release points and fakes. Knowles is one of Atlanta's top strategists and is an important member of Atlanta's player leadership. Knowles is a Seattle trasnplant who works as a software developer. Taylor is a workhorse cutter who has developed into a rock with the disc in his hands. He transitioned to the backfield in 2018 and lead the team in touches and points played. Austin lives in Athens and has a PHD in mechanical engineering studying at both Alabama and Georgia. Sun Choi leads the team in smiles. He is a charistmatic, funny and outgoing soul that plays the game with passion and flair. He is quick and explosive, capable of huge defensive blocks. He transitioned into the backfield last season and became a prototypical give-go handler. His constant movement and quick decisons wear defenders down over points and quarters. He is an emotional leader and hype man for the Hustle sideline. Unfortunately, Stapleton has stepped away from the game at an early age due to repeated head injuries dating back to high school sports. He was a foundational handler for the Hustle from 2015-18. He is the team's all time leader in completions. He is know for his long distance throws, accuracy, break mark throws, leadership, cererbal play, and toughness. Kyle works at SunTrust bank, is a talented disc golfer, and enjoys a variety of outdoor activities. Dylan Tunnell, A generational player in Atlanta ultimate. Dylan was one of the best players on the planet during his prime. He played 2.5 seasons with the Hustle before retiring. He was the 2016 AUDL MVP. John Boezi, Current managing partner of the Hustle. John is an integral part of Atlanta ultimate. He has been instrumental in countless programs and efforts in the sport for the last 12 years. He has served in many capacities for the Atlanta Flying Disc Club, including 6 years as president. He served as AUDL operations manager for 2 years working closely with former AUDL commissioner Steve Gordon. He has played on a variety of open and mixed club teams around the area and is passionate about goaltimate and disc golf. His professional background is in mechanical engineering. He studied at Georgia Tech. Albert Banks, also from Charlotte was an investor in the Charlotte express before joining the Atlanta Hustle owenrship group in 2016. Albert attended the University of Florida where he played ultimate. He is currently a VP and partner at Union, a digital marketing and social media agency. Albert has played club ultimate for years and is still active in local leagues and mixed masters. Albert and his wife Katie have three young children, a son and two daughters. Richard Whitcomb, An Atlanta Chain lightning, Georgia Tech, and Wakeforest alum. Richard is an accomplished business owner with a diverse professional background which we leverage for strategic leadership. 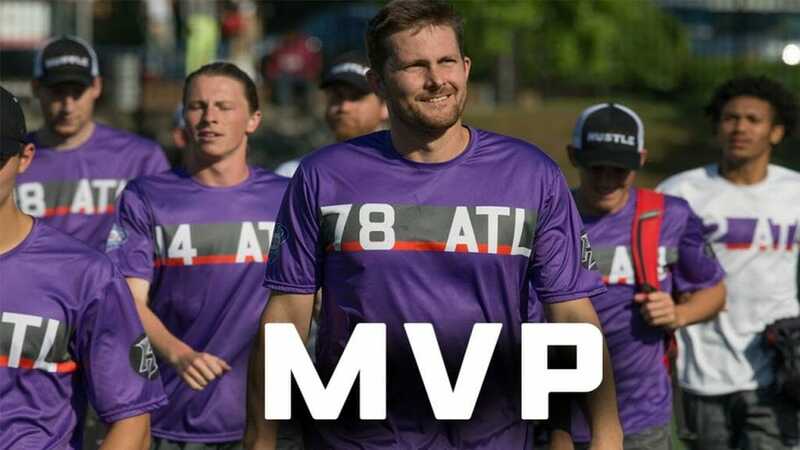 He strongly supports youth ultimate and aims to bridge together generations of ultimate players to create a more cohesive Atlanta community. Richard and his wife Maggie have four children ranging from middle school to college age.